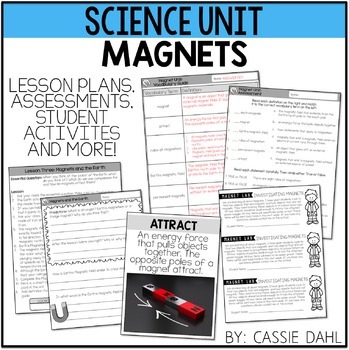 The unit is divided into 5 different lessons. 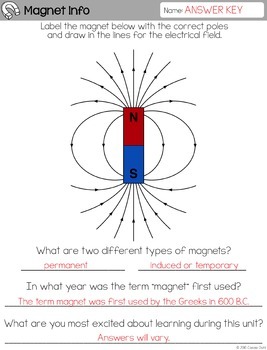 Each lesson focuses on a different aspect of magnets and there is a lesson plan included for each one! There are also student recording pages. 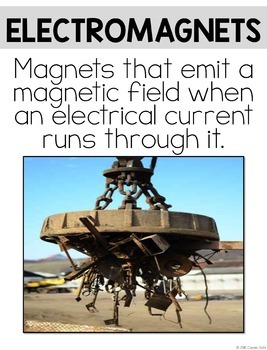 There are two separate labs included as well (investigating magnets and electromagnets). 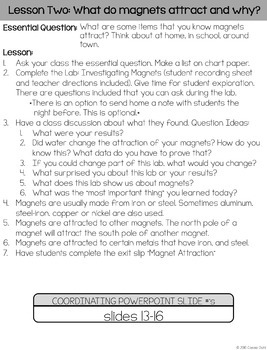 These labs extend and engage students in active observations of magnets or properties that magnets exhibit. Also included in the unit: vocabulary posters, pre-assessment with answer key, post-assessment with answer key, review guide with answer key and a student vocabulary guide. Still not sure about the contents of this unit? Download the preview for a closer look! Many of the pages are shown as a thumbnail so you can see exactly what you are getting!